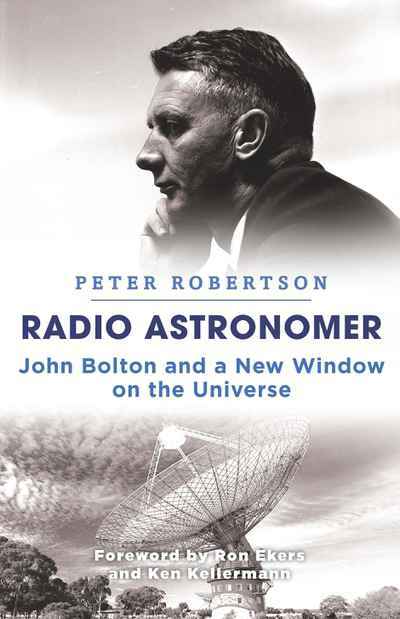 The leading Australian astronomer of his generation, John Bolton (1922–93), was born in Sheffield and educated at Cambridge University. After wartime service in the Royal Navy, he arrived in Sydney and joined the CSIRO Radiophysics Laboratory. In the late 1940s he discovered and identified the first discrete radio sources, unusual objects at vast distances with intense emission at radio frequencies. These discoveries marked the birth of a new field – extragalactic radio astronomy. Bolton had the unusual distinction of being the inaugural director of two new observatories. In the late 1950s at Caltech he built the first major observatory for radio astronomy in the United States, and then returned to Australia to take charge of the newly completed Parkes telescope in New South Wales - featured in the acclaimed film The Dish.